If your into permaculture. Then you should look into natural beekeeping. You find its more in line with what your doing . Assuming your organic ..
Hi Ryan and thank you for posting a comment. Before we started keeping bees we read a lot about Warré hives, top bar hives and other alternatives. We decided to start with standard French Dadant hives for many reasons. All the people we know who keep bees, and would therefore become invaluable sources of support and advice, used them, the local garden centre (which is conveniently a specialist supplier of bee equipment) sells them and we have to register and be subject to visits from the local bee inspector. We thought it would make sense to learn conventional bee keeping before going more left field. Over the three years we have been keeping bees, they have proved to be the most complex and complicated things we have on our smallholding. We have always kept all our colonies over winter and now have four healthy hives. The bee inspector called last week. He inspected all four hives. 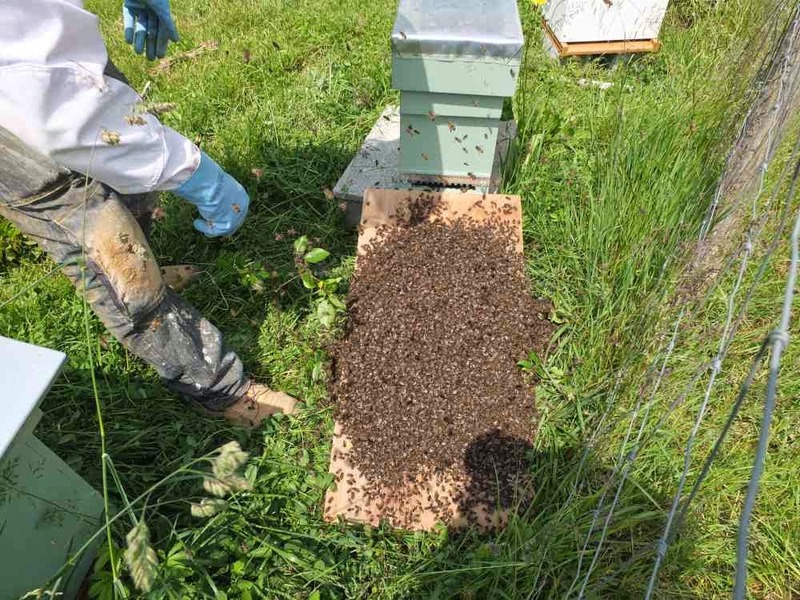 He was very satisfied with what we where doing, using words like "manifique" and "parfait", so we are happy that we're doing the right thing in conventional bee keeping. 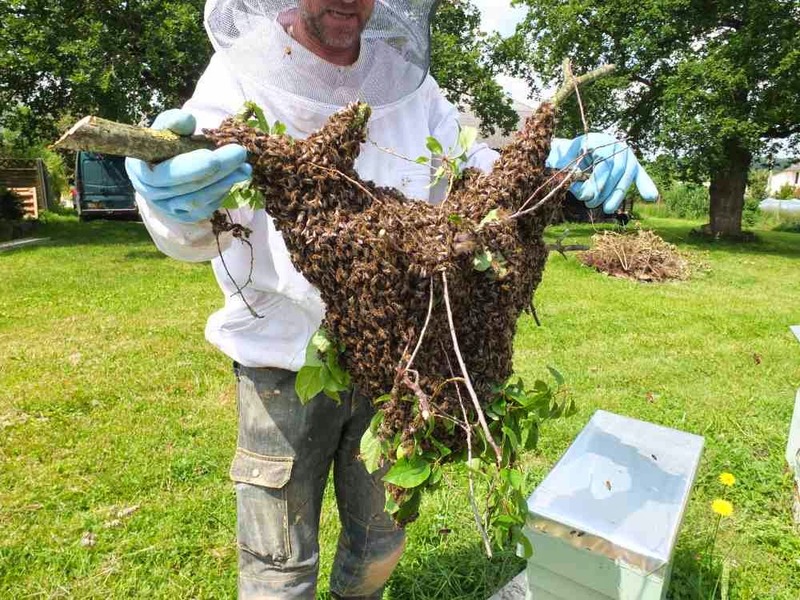 Any transition to other types of bee keeping will be done gradually and alongside what we currently have set up. 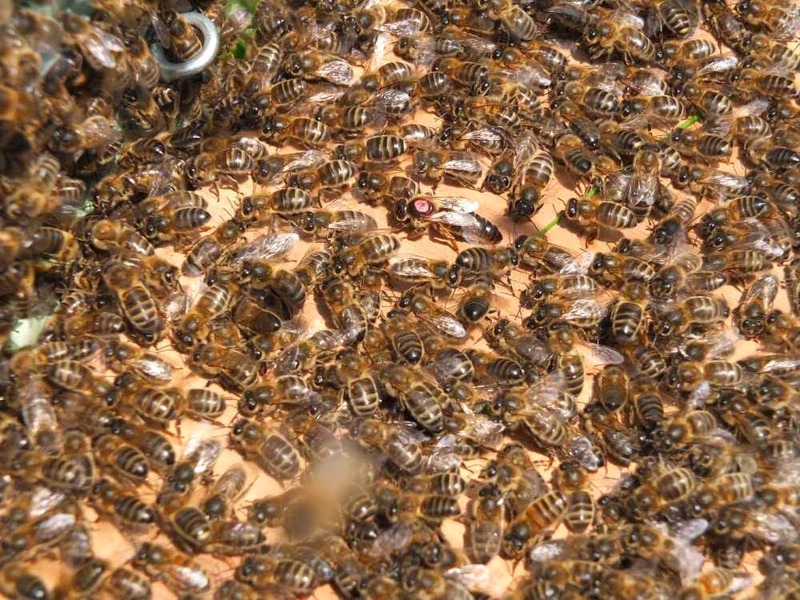 All the treatments we use to battle varroa are recommended for organic bee keeping We're always interested in learning more, so please do tell us your own experiences of keeping bees naturally.